(MissionNewswire) More than 900 beneficiaries connected to programs facilitated by Don Bosco Lakay/Lakou have better nutrition thanks to donations of rice-meals from Rise Against Hunger, an international relief organization that provides food and life-changing aid to the world’s most vulnerable. The rice-meal donations are made possible by an ongoing partnership between Salesian Missions and Rise Against Hunger. The rice-meals were distributed among Don Bosco Lakay/Lakou’s five facilities in Port-au-Prince, and one, divided into two sectors, in Cap-Haïtien. Each of these facilities was created to respond to the needs of children and older youth who have found themselves living on the streets. In total, nearly 5,700 minors benefit from this project which is facilitated by 57 staff members. One of the recipients, 17-year-old René Wantoosly, is very grateful for the rice-meals. Wantoosly lives with his mother who has reduced mobility after a stroke. He has two sisters, one who is single mother and the other who is pregnant. His father passed away. Each Don Bosco Lakay/Lakou facility specializes in a stage of life and type of assistance needed by the youth served. At Foyer Lakay, children live as a family for a period of four years until the completion of their apprenticeship in a technical profession. Lakay Program for Street Children provides shelter and educational services for street children in Cap-Haïtien and Port-au-Prince. There are also vocational training programs where youth like Wantoosly are able to study and gain the skills needed for long-term employment. 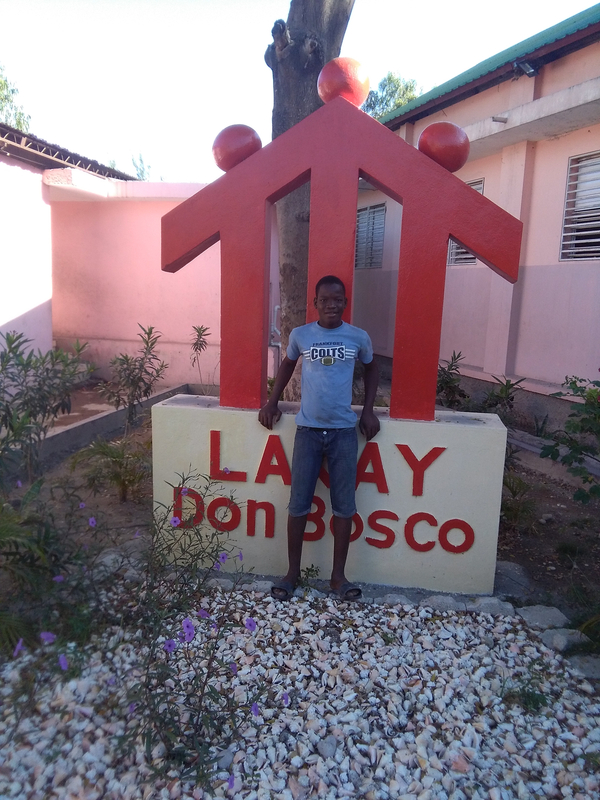 “Despite the critical situation of the boys live before coming to us and social and economic challenges Haiti faces in general, we know a plate of food fills stomachs, energizes the body and opens hearts,” explains Joseph Roliné, director of Don Bosco Lakay/Lakou.